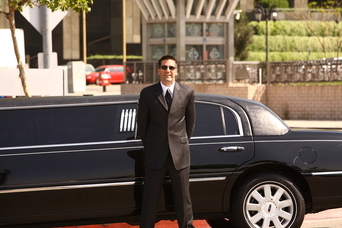 Sheffield Limo Service Specialise in all types of Limousine, Hummer Hire for Cruise Shuttles. With Cruises leaving out of Hull on a regular basis, we find that when travelling in the ultimate style on a cruise, clients feel that the only way to arrive and depart is in the luxury of one of our Limousines. ​There’s no better feeling than letting the other passengers with whom you’ll be spending a couple of weeks with guessing exactly who you are and the source of your wealth. Let us make it our job to ensure that your arrival and departure from the airport is as smooth as silk, which will set you off on your worldwide travels in luxury, or finish your journey refreshed and relaxed! What can you expect from Sheffield Limos? 1. Transportation needs. Let us make it our job to ensure that your arrival and departure from the port at Hull is as smooth as silk, which will set you off on your worldwide travels in luxury, and then finish your journey off refreshed and relaxed with a glide home to Sheffield in luxury with a final glass of champagne to finish off your holiday in the ultimate of styles! 2. Convenience and Punctuality. Our professional, punctual chauffeurs will make sure you arrive in plenty of time for your cruise by checking the route in advance for delays. They’ll also be there to collect you with their hat on and classy board with your name on it as you step off the Cruise Ship and bid farewell! You’ll then be able to enjoy the final part of your holiday in style. 3. Luggage. As all Cruise ships have unlimited luggage, due the evening gowns and Dinner Jackets that are required, what better way than to travel in a Limousine, where luggage room is not an issue. An important part of your chauffeurs many roles is that of taking care of your luggage. All your left to do is step in and out of your carriage! There is no nicer feeling at the beginning and at the end of your holiday than not having to haul luggage around. No matter when you need to book your Cruise Limousine for, simply fill in the form on the right-hand side for a ‘No Hassle Guaranteed’ FREE quote. Sheffield Limousine Cruise Service prides itself in offering the most Luxurious Limos for affordable prices. Or make a call now on 0114 303 1540 and ask for any special offers that we might be running.